A 3-star General, circa 1865. “I propose to receive the surrender of the Army of N. Va. on the following terms, to wit: Rolls of all the officers and men to be made in duplicate. One copy to be given to an officer designated by me, the other to be retained by such officer or officers as you may designate. The officers to give their individual paroles not to take up arms against the Government of the United States until properly exchanged, and each company or regimental commander sign a like parole for the men of their commands. The arms, artillery and public property to be parked and stacked, and turned over to the officer appointed by me to receive them. This will not embrace the side-arms of the officers, nor their private horses or baggage. This done, each officer and man will be allowed to return to their homes, not to be disturbed by United States authority so long as they observe their paroles and the laws in force where they may reside. -Terms of surrender, given to General Robert E Lee after the Battle of Appomattox Courthouse, April 9, 1985. Not true: In 1839, his father arranged for his admission to West Point. The congressman who nominated him mistakenly believed his name was Ulysses Simpson Grant (Simpson was his mother’s maiden name). 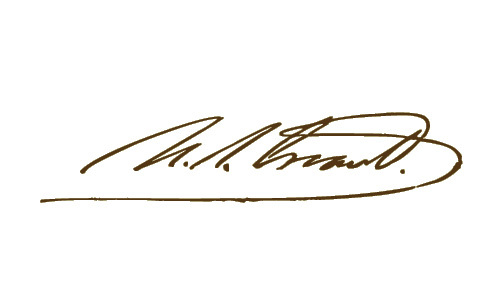 Grant never corrected the error, maintaining that the “S.” didn’t stand for anything. 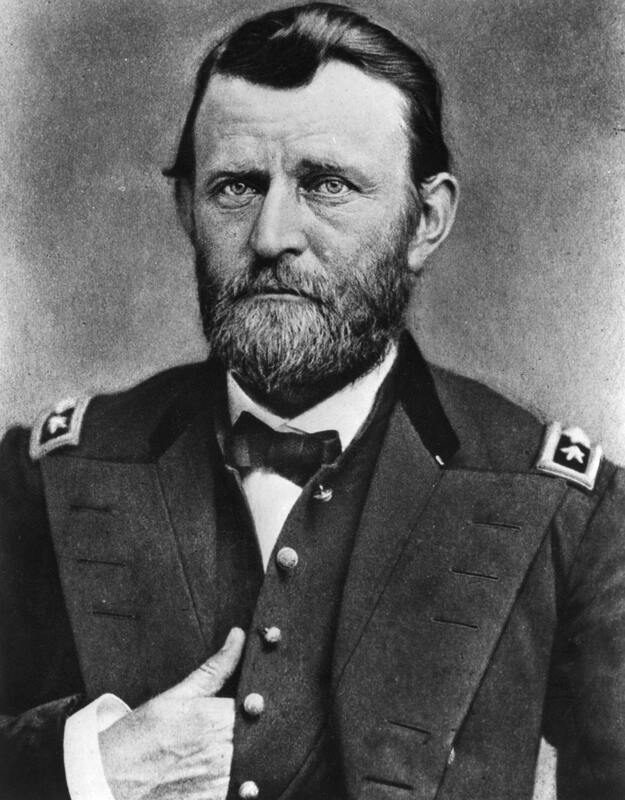 His birth name, however, was Hiram Ulysses Grant. Lincoln appointed him General-in-Chief in March 1864. 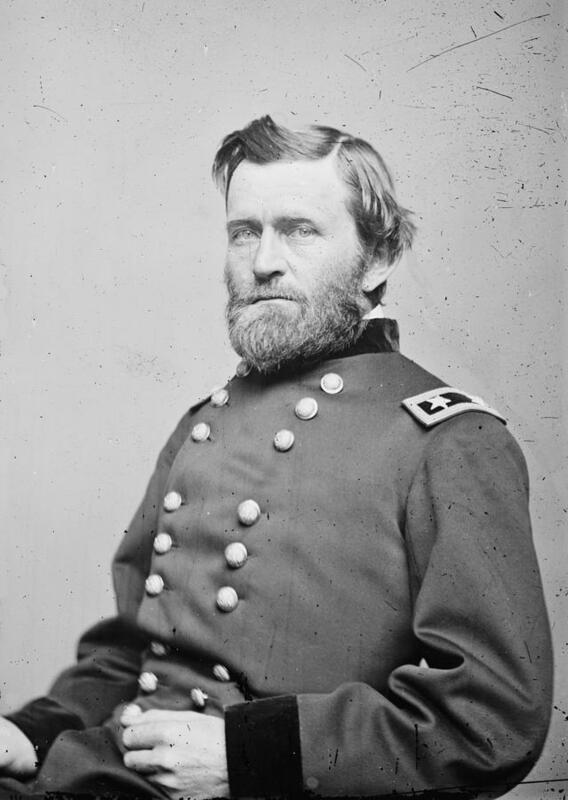 Grant was appointed our first 4-star general in 1866. The Suez Canal opened and the first transcontinental railroad was completed in 1869, his first year as President. His annual salary as President was $25,000 … the same sum paid George Washington and every other President through 1872. In 1873, his salary was doubled to $50,000 (where it stayed through Theodore Roosevelt’s tenure). Our first national park, Yellowstone, was established during Grant’s Presidency. Colorado became a state during his tenure. 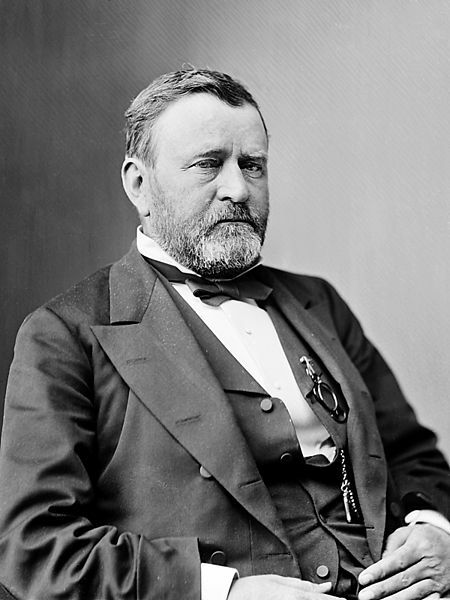 Ulysses Grant’s time in office was marred by scandal and corruption. However, he did not participate nor profit from the illegal actions of his associates and appointees. 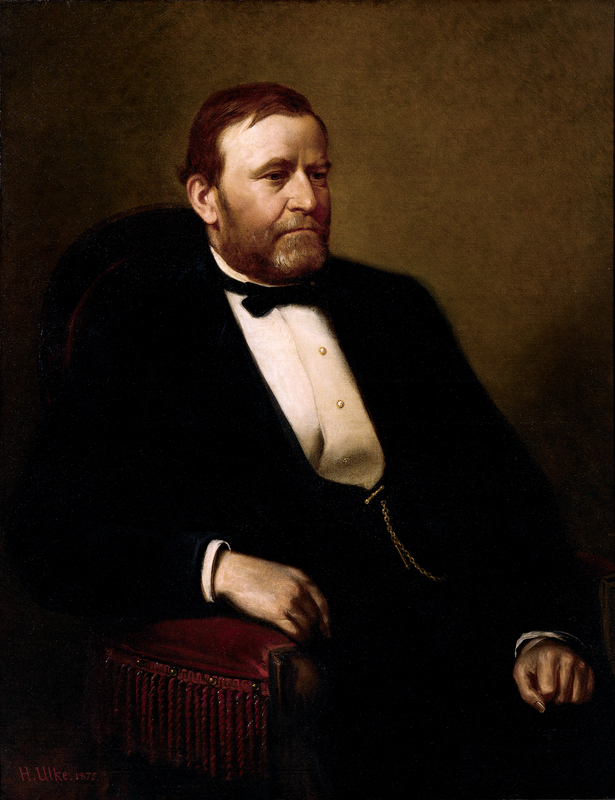 After leaving Washington to write his memoirs, Grant entered into an investment partnership with Ferdinand Ward. Unfortunately, Ward embezzled Grant’s asset, for which he went to jail. This left Grant with hundreds of thousands of dollars in debt, and he claimed bankruptcy. He was forced to sell his Civil War memoirs to save his family from further financial hardship. Ulysses S. Grant is buried in New York City in the largest mausoleum of its kind in the United States. Grant’s tomb is a National Memorial. The Official Portrait: President and Mrs. Rutherford B. Hayes took great interest in collecting presidential portraits for the White House, adding paintings of Ulysses S. Grant, Andrew Jackson, John Adams, James Madison, James Monroe, Zachary Taylor and William Henry Harrison in the 1870s. German-born Henry Ulke completed a fine portrait of Grant from life in 1875.